(1) There are few things in this world I like more than food. 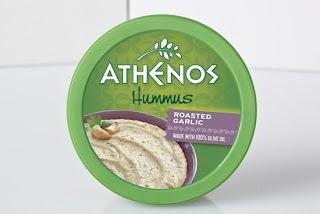 (2) A favorite food of mine is hummus, so although it's not typical of this site, I had to share the following with you, my readers. (3) I'm a second cousin of Frank Griffin who won the $141.4 million Powerball. As a result, I will be ending this blog effective March 1. In the meantime... This post is loosely related to the Athenos Two Truths and a Lie Party in Atlanta, where they're giving away lots of cool stuff, including a free trip to South Beach! I'm going, so if you're local and thinking about attending, let me know or RSVP under the Athenos Facebook Page under the Events Tab! Hopefully the lie is about your lottery winning relative and your March 1 drop dead date! I guess it was an early April fools joke or I think I got the same email. Hey Rob, yes this was a joke. Still here and still on the grind working hard everyday to get yall the latest and greatest news from Atlanta restaurants, retail and hotels.